Kentrolite: Mineral information, data and localities. Named in 1880 by Alexis Damour and Gerhard von Rath from the Greek κεντρί for "thorn" or "spike", in allusion to its habit. A synthetic aluminium analogue is known. Prismatic to equant. Isolated crystals or rosettes, sheaflike groups, massive. Rhodochrosite 34 photos of Kentrolite associated with Rhodochrosite on mindat.org. Arsenatian Vanadinite 6 photos of Kentrolite associated with Arsenatian Vanadinite on mindat.org. Vanadinite 5 photos of Kentrolite associated with Vanadinite on mindat.org. Axinite-(Mn) 4 photos of Kentrolite associated with Axinite-(Mn) on mindat.org. Calcite 2 photos of Kentrolite associated with Calcite on mindat.org. Braunite 2 photos of Kentrolite associated with Braunite on mindat.org. Aragonite 2 photos of Kentrolite associated with Aragonite on mindat.org. Baryte 2 photos of Kentrolite associated with Baryte on mindat.org. Cerussite 1 photo of Kentrolite associated with Cerussite on mindat.org. Willemite 1 photo of Kentrolite associated with Willemite on mindat.org. 56.2.10.6 Caryochroite (Na,Sr)3(Fe3+,Mg)10[(O,OH)9|Ti2Si12O37] · (H2O,O,OH)17 Mon. American Mineralogist (1967): 52: 1085-1093. Gabelica-Robert, M. & Tarte, P. (1979): Synthesis, x-ray diffraction and vibrational study of silicates and germanates isostructural with kentrolite (Pb2Mn2Si2O9). J. Solid State Chem. 27, 179-190. 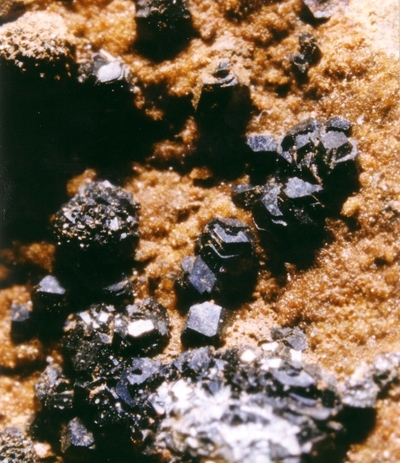 American Mineralogist (1991): 76: 1389-1399. Mineralogical Magazine (1994): 58: 172. Dörsam, G., A. Liebscher, B. Wunder, and G. Franz (2008): Crystal structures of synthetic melanotekite (Pb2Fe2Si2O9), kentrolite (Pb2Mn2Si2O9), and the aluminum analogue (Pb2Al2Si2O9). 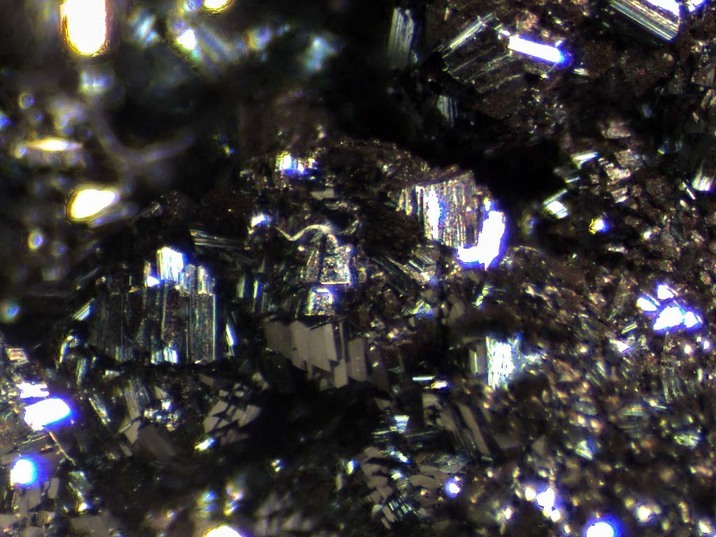 American Mineralogist: 93: 573-583. The following Kentrolite specimens are currently listed for sale on minfind.com. 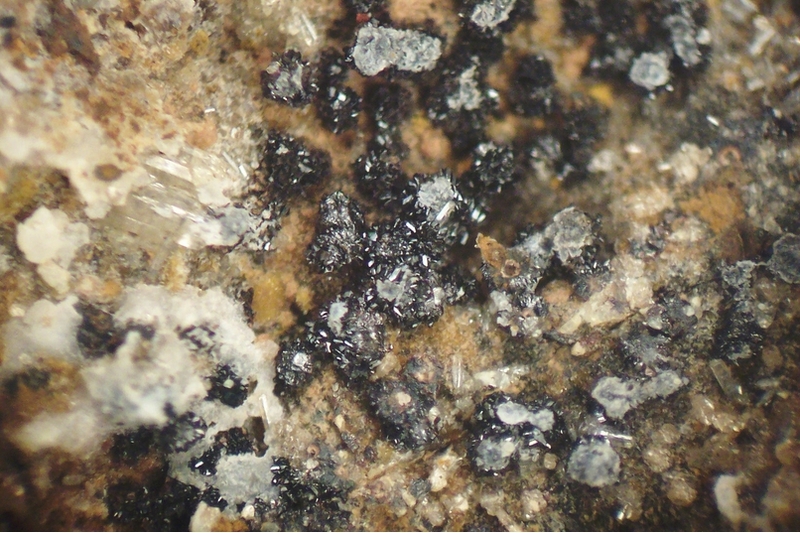 John M. Moore, Barbara K. Kuhn, Darren F. Mark, and Harilaos Tsikos (2011): A sugilite-bearing assemblage from the Wolhaarkop breccia, Bruce iron-ore mine, South Africa: Evidence for alkali metasomatism and 40Ar-39Ar dating. Eur. J. Mineral. 23, 661-673. Damour & vom Rath (1880); AM:52(1967):1085; Nysten, P., Holtstam, D. and Jonsson, E. (1999) The Långban minerals. In Långban - The mines,their minerals, geology and explorers (D. Holtstam and J. Langhof, eds. ), Swedish Museum of Natural History and Raster Förlag, Stockholm & Chr. Weise Verlag, Munich, pp. 89-183. Collected by, and analyzed thru John Ebner, Wall Twp., NJ. J. Ebner & C. Lemanski, Jr. collections. Cianciulli, J.: The Picking Table:32(2):15-16 (1991); Palache(1935):103; Dunn(1995):Pt3:415.